In the early 1930's the "daytime female serial dramas" and the "light, homey, or love interest dramas" were becoming very popular. The NBC-Blue network introduced ROMANCE, and SHEER ROMANCE, with Betty and Bob. 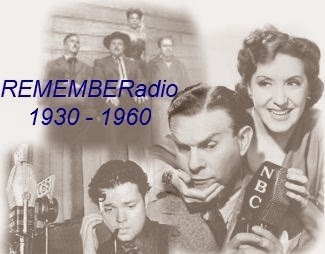 "Betty and Bob" began at NBC Blue on October 10, 1932 with General Mills sponsorship, the first show to be produced by the pioneers of soap opera, Frank Anne Hummert [photo] (January 19, 1905 - July 5, 1996) was the leading creator of daytime radio serials during the 1930s and 1940s, responsible for more than three dozen drama series. Hummert and the then Anne Ashenhurst who married in 1935 to become the paramount creators of radio daytime dramas. 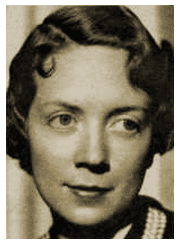 With an early afternoon (1:45PM est) serial time slot, the show was the first network daytimer to contain all the classic themes in the episodes of the genre: downtrodden but virtuous Betty Drake and her once well-to-do husband Bob.